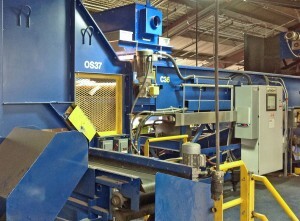 MSS installed the first commercial automated optical sorting equipment for beverage cartons in Germany in 1998. Since then, the sensor technology has been advancing in leaps every few years and today, in conjunction with the efforts of the Carton Council, MSS has installed numerous CartonSort™ separators in MRF in North America for the recovery of aseptic and gabletop cartons in MRFs. For specifically removing beverage cartons (with/without aluminum layer) from mixed paper streams the CartonSort™ will do the job.